Others look at them as Voodoo dolls which are used for witchcraft because of their rug doll look. But for me, they are not creepy looking at all. I bet, I am not the only one who looks at them with adornment. These dolls are totally different from the dolls during my age where Barbies where the stars. 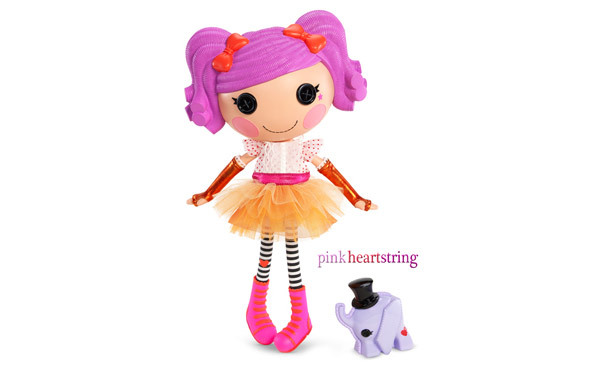 Today, as people become more creative, there are so many doll variations that arrive and one of the most brilliant of all those creations is the Lalaloopsy Dolls. So, today, allow me to take you back to the time of Lalaloopsy’s birth. Just in case you are not yet totally aware of this. 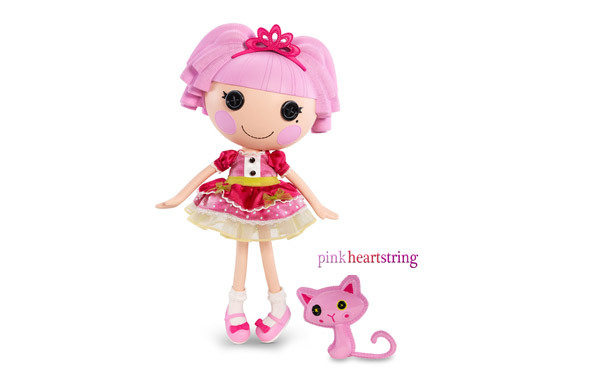 Lalaloopsy dolls “were once rag dolls that magically came to life when their very last stitch was sewn”. Each doll has a unique story on how they were created. They are also sewn on special days that greatly affect their look and personality depending on the type of fabric they were made from. Lalaloopy reside in a world full of silly surprises making their personality even more charming and lively. 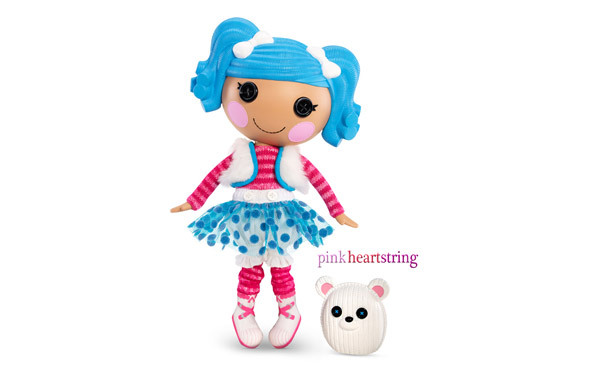 The magic of Lalaloopsy begun in 2010 when MGA Entertainment released them under the name Bitty Buttons with the tag line "Sew magical - Sew cute". But the name was changed after the launching making it more appropriate and attractive for both adults and little ones. The 13-inches or 33 cm dolls were launched last July 19, 2010. These were designed to encourage a child's imagination and creativity. MGA Entertainment pinpointed that these dolls also “teaches important life lessons such as diversity, individuality and the idea that everything deserves a second life”. 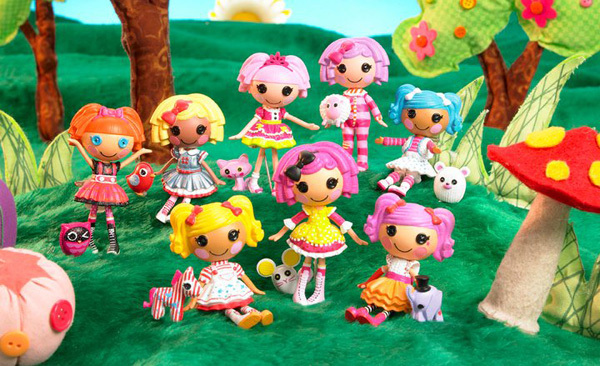 Bitty Buttons was the name of these dolls before they were called Lalaloopsy. Well, we should be thankful for the brilliant minds behind the design and creation of Bitty Buttons which was more famously known as Lalaloopsy. 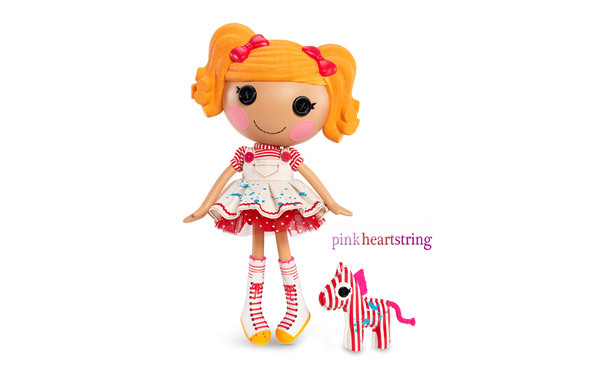 For the first release of these dolls, there were eight of them namely, Crumbs Sugar Cookie, Jewel Sparkles, Peanut Big Top, Bea Spells-a-Lot, Mittens Fluff 'N' Stuff, Dot Starlight, Pillow Featherbed, and Spot Splatter Splash. 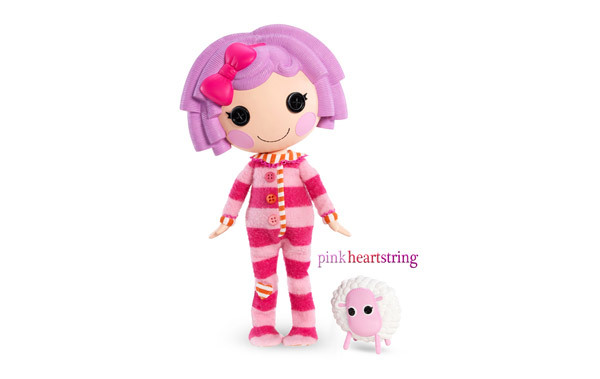 The first batch of Lalaloopsy immediately captured the hearts of many. People really didn’t care whether they are Bitty Buttons or Lalaloopsy because they still looked perfectly cute no matter how they are called. Regarding the change of name, I wondered about why it was changed but I found a post of Lalaloopsy in their Facebook page stating the reason. It says that, “We did change our name from Bitty Buttons to Lalaloopsy due to some unforeseen issues with the name”. So, that’s all they could tell us and let us not be bothered about it. Bitty Buttons or Lalaloopsy, they are still cute. No big deal. Spot Splatter Splash was made from a painter's overalls. She's super creative and loves bright colors, big messes, and eating spaghetti. She has a pet zebra. Pillow Featherbed was made from pieces of a baby's blankie. She loves good stories, long naps, and her favorite snack is milk and cookies. She has her own pet sheep. Peanut Big Top was made from bits of a brightly-colored clown costume. She is a silly prankster who's a little bit clumsy and loves to make her friends laugh. She has a pet elephant. Mittens Fluff 'N' Stuff was made from pieces of an Eskimo's scarf. She loves hot cocoa, snow fights, and snuggling by the fire. She has her own pet polar bear. Jewel Sparkles was made from remnants of a real princess' dress. She is very graceful, a little bit bossy, and loves to dance and wear sparkly clothes. She has a Persian cat. Dot Starlight was made from a real astronaut's space suit. She's a dreamer who loves science, and she's always got her head in the clouds. She has a pet bird. Bea Spells-A-Lot was made from a school girl's uniform. She is a real smartypants, who always follows the rules and loves to talk...A LOT!!! She has a pet owl. 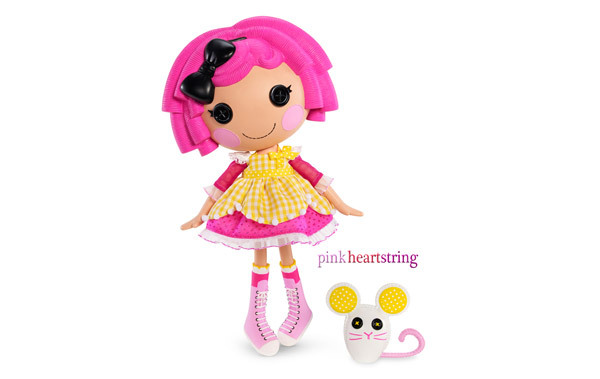 These were the first introduction of Lalaloopsy to us. Today, there are already around 85 characters that show unique, fun and bright personalities, qualities that people of all ages can relate to. This includes 43 full size dolls, 17 Littles, 16 soft dolls, 14 Silly Hair dolls, 107 mini dolls, 6 Lala-Oopsies, and 4 Lala-Oopsie Fairy's. We’ll get to know each of them on the next articles! I’ll see you once again mommies!